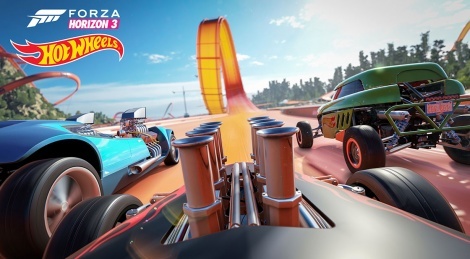 The second Forza Horizon 3 expansion is now available, it offers a new map inspired by Hot Wheels tracks as well as new vehicles. Here are some PC videos in 1440p60. Note: this expansion comes at the same time as a free update of the game's engine, resolving the CPU bottleneck issues. nice visuals....but the sense of speed is completely absent for me. Also the jumps feel rubbery, like gravity is weaker. Somehow driving games are really failing for me. Simulators are ok, but when it comes to non-simulator, it's always some kind of badly written compromise. Why couldn't they just make a fun arcade racing game? This one and the rest (the crew & co.) always fail at both simulation and arcade/fun factors. It's just DLC though.. the rest of the game isn't supposed to be this over the top after all. Have you tried using the faster S2 and X cars because they most certainly do not suffer from a lack of speed when you're flying around at 240mph+. nice visuals....but the sense of speed is completely absent for me. this isn't your nintendo's f-zero, boi. This looked exhilarating!! and i love all of the rich colors too with the green trees, the blue waters, and the orange track. Looks like a real party game experience. some how i feel like i'm now looking forward to the Horizon side of Forza from now on for real fun. old school Forza is great but Forza Horizon fills up a higher level of excitement in my opinion. seriously this was really entertaining to watch, and it took my mind off of lots stuff going on in my day. Awesome cannot wait to play this once Scorpio comes out. this desperately need power ups to make the racing more interesting...god i miss blur. 1. Dust off your WiiU and buy Mario Kart 8, double the fun with your SO. 2. Sell your PS4Pro, get a Switch & Mario Kart 8D, double the fun with your SO. The Forza Horizon series is doing great without power-ups and should remain that way for now. MK8D is the best kart racer ever made, period. Crash Team Racing... lmfao. Bizarre Creations was great though, and it's a damn shame that no one played Blur. This DLC is seriously fun, only a few hours in and it's pretty addictive. 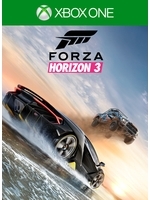 it's definitely not as serious and proper as traditional Forza games. this is a very different change from that series, which is very prominent in it's automotive roots. Anyways this was a great change from their other serious content, and it really broke away in a very flashy and entertaining way imaginable. more of this content would definitely be a treat! If you're looking for power-ups and racing you could also check out - Sega sonic all stars racing transformed. it got really good reviews on steam and all around. it's also a fun game too in my books. I said crash team racing was the last kart racer I liked...not that it was the best "EVAAAR MAAADE" lol.